In the US, the workforce is on the move, and this trend of mobile employees is only expected to grow. By 2020, the International Data Corporation (IDC) projects that there will be as many as 105.4m mobile workers in the US. These workers span many sectors of the economy, especially healthcare, retail, manufacturing, and construction, with healthcare being the largest. The degree of travel involved for mobile employees varies from employees being out in the field the entire time to employees who travel between different satellite offices to employees who go out on calls throughout the day. In every case, employers must ask how their employees will travel for work. While they could simply provide employee mileage reimbursement for work-related travel, many employers still overthink the issue of transportation, opting for company vehicle programs that tend to be costly and eat up work time. Companies that provide services such as construction, home repair, maintenance or other specialty services tend to provide their employees with company cars. Providing vehicles comes with a host of problems for companies and organizations, though. Providing company vehicles may seem like a simple solution on the surface, but hidden underneath, there are a number of costs employers are responsible for. It should come as no surprise that purchasing and maintaining a fleet of vehicles will be a costly investment for your company, especially upfront. Of course, some costs can be written off later as tax deductions, but you’ll still need a large amount of money in the beginning to get started even if you’re buying vehicles at wholesale value. You may think you can lease vehicles to save on costs, but this adds another vendor to the equation, one you must manage and constantly evaluate. You are responsible for maintenance costs for your company cars, whether you own them or lease them. This includes routine maintenance, repairs, insurance and other optional services as they arise such as washing and waxing. Depending on how well your employees take care and drive your vehicles, these costs can really start to add up, and the wear and tear that leads to these expenses doesn’t always happen during work-related travel. Then, there’s the question of to whose satisfaction are you maintaining your fleet of vehicles. Is it your personal satisfaction? Your company’s? The leasing company’s? There can be a lot of uncertainty in maintaining company cars. Because employees tend to see company vehicles as a perk of their job, they see no problem driving them outside of work. Some will drive them to death on weekends, while some may not use their company cars for personal travel much at all. Either way, the company’s cost to maintain them is out of line with value received by the business. Your employees would love to drive your vehicles instead of their own – for obvious reasons. This means you’ll probably never have as many vehicles as you do employees who want one, and unfortunately, adults are no better at sharing than children. Deciding who receives one and what criteria you use to assign them will no doubt cause strife and workplace conflict among your employees. For those that do have access to a vehicle, it’s up to employers to put in place and enforce policies related to use. On top of everything else, managing the use of your vehicles is just an added headache. If you choose to provide company vehicles, you have to consider the reality that car accidents will likely occur. If an employee is involved in a wreck, it could result in a host of legal issues for you as their employer. Liability issues will only get more complicated if your employees have constant access to your vehicles. Who pays for an accident if your employee was doing something they shouldn’t have been doing? What if a plaintiff tries to sue you even if you aren’t liable? You’ll need to make sure you’re properly insured for the worst case scenario, adding more expenses to your list. 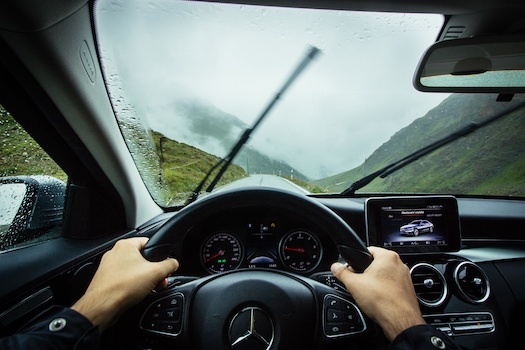 If providing company vehicles to your employees doesn’t sound right for your company, there is a simpler and more economic solution: employee mileage reimbursement for travel in their personal cars. By allowing them to use their own vehicles, companies save on costs and gain more flexibility. You may be surprised to learn that employers are not bound by federal law to offer mileage reimbursement to employees. However, most do. Promising to reimburse them for their work related travel can be a nice incentive to join your company. It also increases your employees’ satisfaction with their jobs and makes them more willing to take part in travel for work. The company will not be responsible with upfront costs of purchasing vehicles for company use. This also includes costs related to car registration and insurance. Whether you choose to follow the recommended IRS rate for employee mileage reimbursement or calculate your own, this rate will account for a variety of expenses employees are responsible for, including gas, maintenance, fees, insurance and depreciation. Employers who provide employee mileage reimbursement will see a break during tax season. Mileage reimbursements are a deductible business expense and should be treated differently than employee wages. As long as you have the records to back it up, you can claim a business mileage deduction on reimbursements. There are several challenges companies face in opting to provide mileage reimbursements instead of company vehicles, but companies can easily and affordably mitigate them. For instance, when employees drive their own vehicles, employers have a non-owned automobile exposure. There are several simple ways to manage this liability though, including annually reviewing employees’ driving records, ensuring employees are properly insured, providing accident prevention training and establishing safety rules for non-owned vehicles. Expense fraud and poor record keeping can also become issues for employers if reimbursements are not properly managed. In order to properly provide employee mileage reimbursement and have the appropriate records for tax deductions later, employees must keep very accurate mileage expense reports. Failing to ensure proper record keeping could mean you overpay reimbursements. Employees can accidentally or knowingly do a number of things that cost you money such as submitting duplicate expense reports, rounding mileage, misreporting or estimating odometer readings or reporting travel unrelated to their jobs. Instances like these may individually only be a few dollars, but that can add up to be a big problem. Fortunately for your company, automating the process with an expense management platform eliminates these issues. SureMileage by CompanyMileage automates expense reporting for employees and relieves the worries of employers. Traditional systems of mileage expense reporting give employees no accountability for the mileage readings they report and are rife with inaccuracies. An automated, cloud-based platform such as SureMileage calculates the mileage from each trip automatically. By utilizing point-to-point calculations, employers will no longer need to worry about unauthorized side trips or inaccurate mileage estimates. Employees simply provide their starting and ending points for each trip, and SureMileage determines the distance and helps businesses calculate employee mileage reimbursement. SureMileage provides a secure platform to manage expense reporting and organize records that integrates with all major payroll and accounting systems. With CompanyMileage, the process can finally be accountable, seamless, accurate and most importantly, help you avoid the company car. CompanyMileage customers have saved 20-30% on average on mileage expenses. Learn how your company can automate the employee mileage reimbursement process. Request a demo, now!